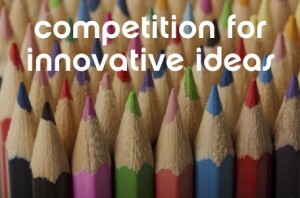 Home > News > NanoDiode idea competition – winners announced! NanoDiode idea competition – winners announced! How about automatically heated nanomaterials, bracelet for monitoring one’s biological nutritional stats, a tracking device for lost objects – or a water-repellent headscarf? The NanoDiode project is delighted to announce the winners of its Competition for innovative ideas! In the competition, NanoDiode asked the participants to take a look at current nanotechnology innovations developed across Europe and then come up with their own innovative ideas on how nanotechnologies could contribute to a better, sustainable European future. In autumn 2014, over 50 European youngsters took part in the competition. After public voting on NanoDiode website, an expert jury of artists, researchers, CSO and industry representatives picked their favourites – for the final results, the public and jury votes were counted together. NanoDiode and the expert jury congratulate the winners and thank all competition participants for their contributions!